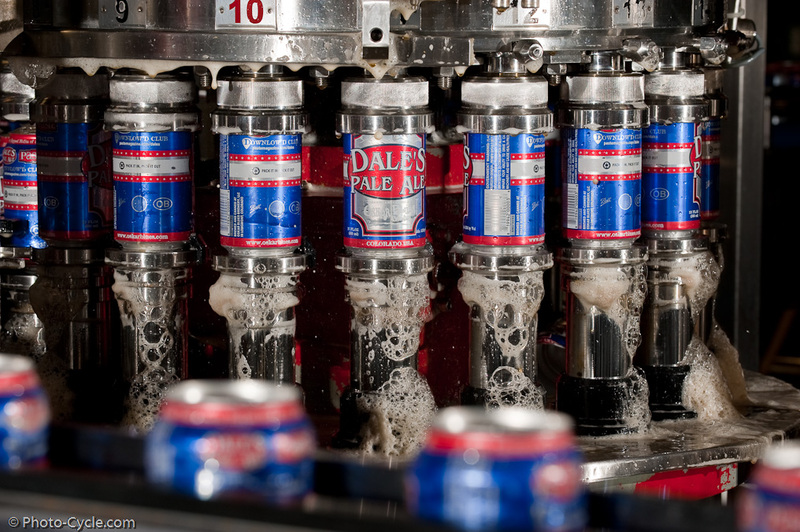 I’ll begin where I signed off yesterday: When Oskar Blues Owner Dale Katechis made the decision to put his craft beer in a can rather than a bottle, everyone pointed their fingers and laughed. As they stood there, laughing and pointing, Dale decided to raise a different finger. Today, the success of his brewery, located about an hour outside of Denver, pretty much speaks for itself. 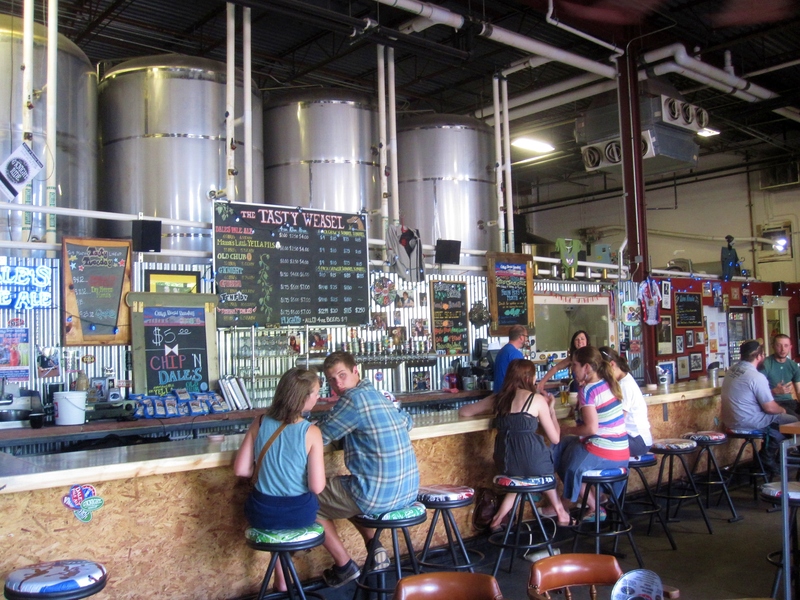 Oskar Blues Brewery in Longmont, Colorado. Marking Director Chad Melis put it most simply: It’s just damn good beer in a can. Thanks in part to bad Sam Adam’s commercials, the public perception is that the bottle is superior, but, in the minds of outdoorsmen, environmentalists, and businessmen, the can is king. Portable, durable, recyclable, and cheaper, modern alumnimun cans carry a water-based coating so beer and metal never touch (aka no exchange of metallic flavor). Cans also fully protect beer from light and oxygen, while the bottle obviously cannot. Chad invited me to meet him for a few beers at the Tasty Weasel Tap Room in Longmont to check out the vibe, take a tour of the brewery and see the can line. The tap room is literally built inside the brewery, the steel tanks towering over the short walls of the tap room. It reminded me of the way a city skyline sits in the background of a ballpark, making me feel like I was a part of something bigger. A long bar and highly personalized atmosphere make this a cool place to hang out. Photos on the wall are almost always of someone who works for the company, or of guests who have mailed in pictures. Stickers, colored chalk, and friendly bartenders are a few of the first things I noticed (see photos). There’s also a few BREWskee ball leagues and on-site lanes – which I truly appreciate – and specialty releases only poured at the Tasty Weasel. Tasty Weasel Tap Room at Oskar Blues Brewery. Now for the main event, the beers. One thing I’m serious about: They’re all good. My attempt to relay this message to Head Brewer Dave Chichura did not go so well, especially when it came out in conversation as Dave, I’ve gotta be honest with you, I haven’t hated any of them yet. Dumb statement, but a true one. I had my favorites – Dale’s Pale Ale, Ten Fidy, and G’Knight to name a few – but the whole lineup is worth sampling. And it’s reasonably priced: $9 for seven 4oz samples. I generally and vaguely referred to the success of Oskar Blues in the opening paragraph, and I suppose I should tell you that there are facts to back that up. Not only will the brewery celebrate its 10th CANniversary this November, they will also be opening a brand new facility/brewery in Brevard, North Carolina – another outdoorsy, mountain-biking community about 34 miles from Asheville. Dale has also turned his aforementioned mountain biking obsession into an additional product line, REEB Cycles (beer backwards). 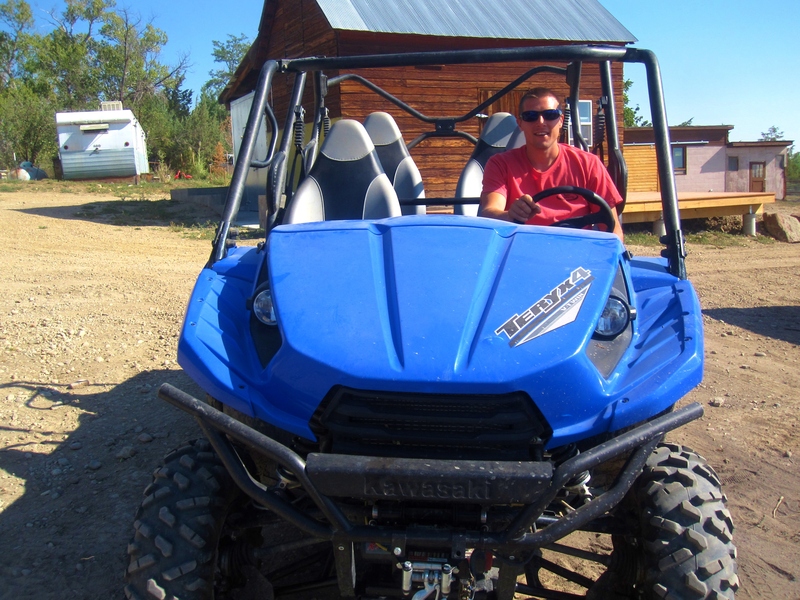 I had an opportunity to go for a ride with the crew – my first mountain biking experience – which I will share next week. I went over the handlebars twice. Tasty Weasel Tap Room in Longmont, Colorado. 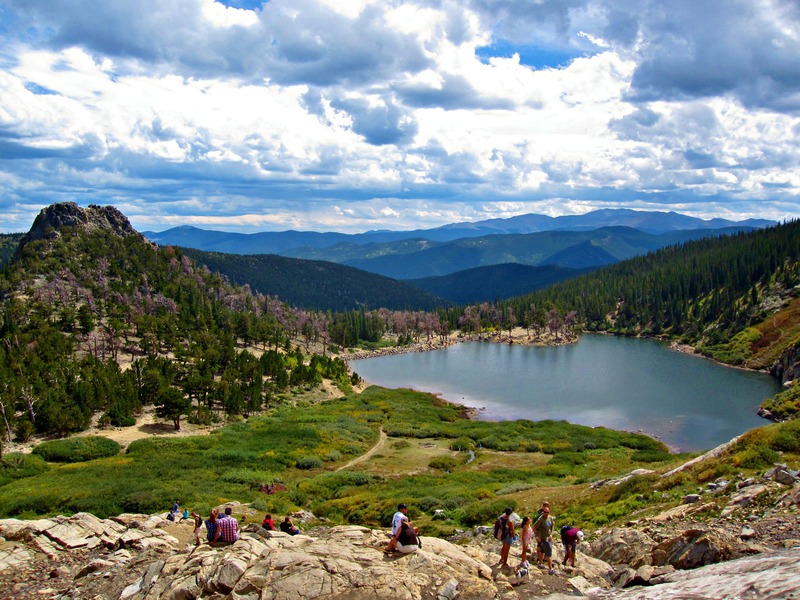 Photo courtesy Oskar Blues. 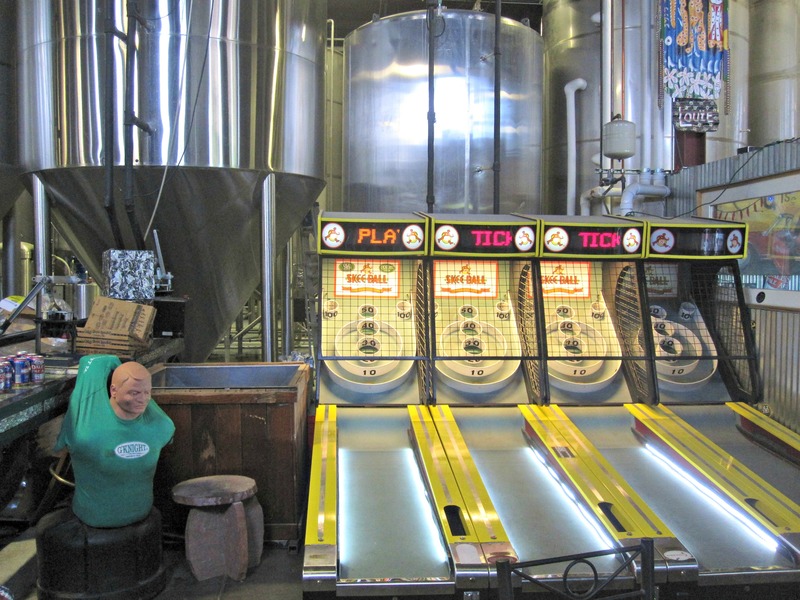 BREWskee ball at the Tasty Weasel. Oskar Blues Home Made Liquid and Solids restaurant. 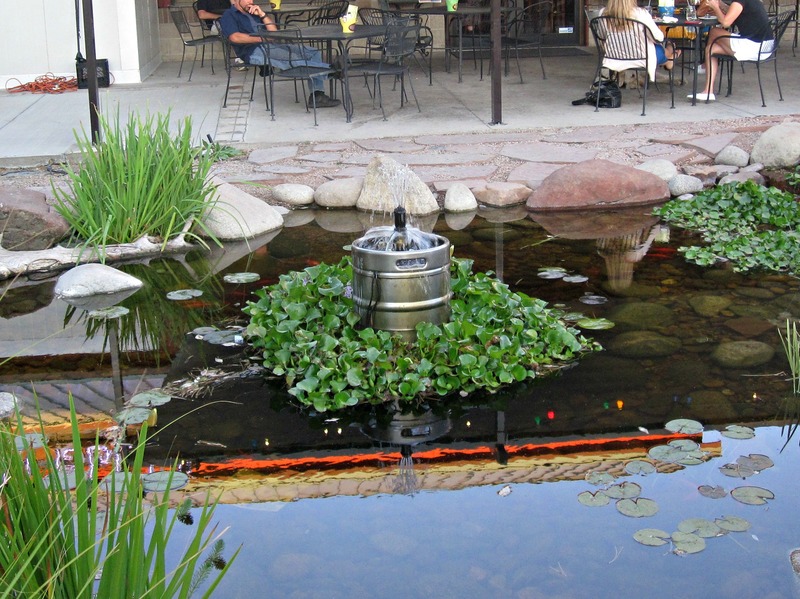 Keg fountain at the Oskar Blues Home Made Liquids & Solids restaurant. Feast at Oskar Blues Home Made Liquid & Solids restaurant. Having fun out in the country at Oskar Blues Hops & Heifers Farm.